I first met Debra Ann Mumm, Founder & Creative Director of CREATE Center for the Arts, at the yearly Congressional Art Competition held this past May by Congressman Raul Ruiz, M.D. Hosted this year by CREATE, the event is a nationwide high school visual art competition that recognizes & encourages artistic talent. Students in our 36th congressional district submitted entries & a panel of district artists selected the winning entries. The winning works are displayed for one year at the U.S. Capitol. 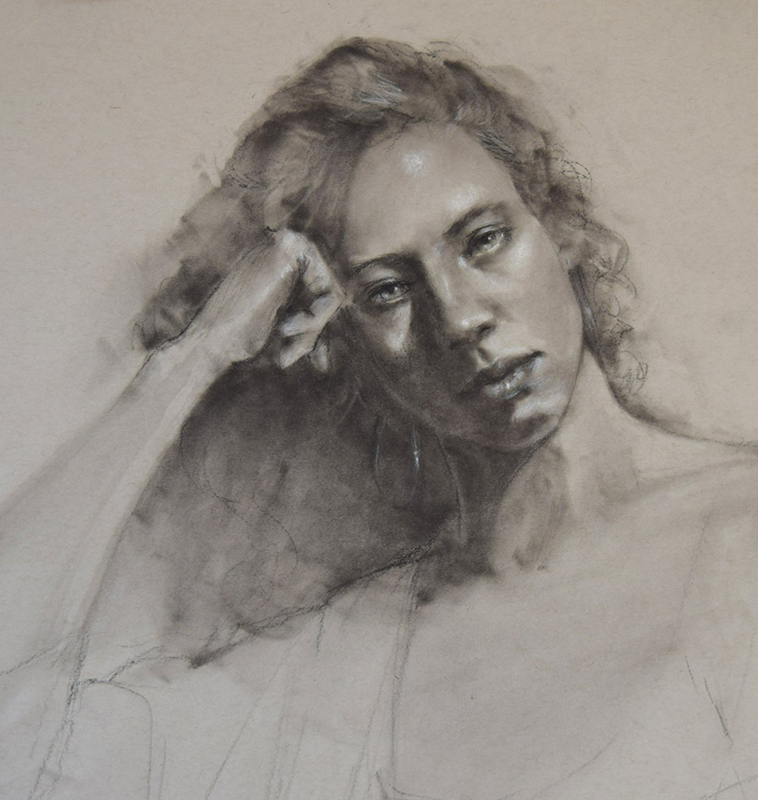 This district wide show gives high school students the opportunity to formally display their work in a public setting & provides recognition & scholarship opportunities for the winner of the competition. After the event, I had a great conversation with Debra & we agreed that CREATE is an essential link between the arts & community. 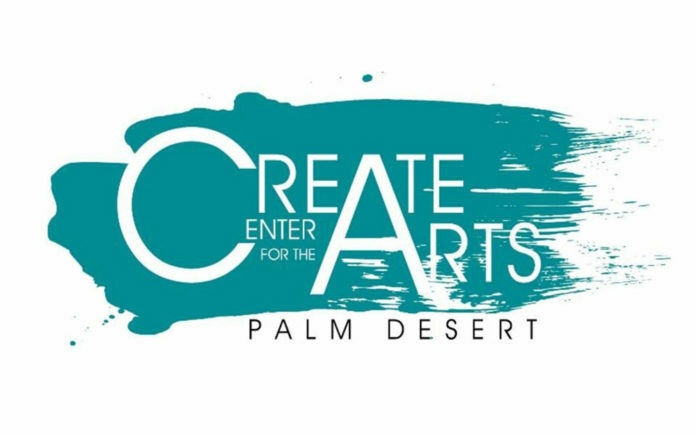 The concept for CREATE Center for the Arts Palm Desert was developed by Mumm, an artist, activist, educator, entrepreneur, curator, consultant, speaker and Coachella Valley native. Having served the local creative community for more than 30 years, she has always felt there was a need for a place to engage in art making and showing of art work. She recognized the need for a studio-forward art venue that provided space and equipment needed for artists to thrive. Mumm is a past recipient of the ‘Change Maker’ award from the Indian Wells Arts Festival for her tireless work in the in the local art scene. Mumm is also founder and president of Palm Desert’s Venus Studios, LLC, parent company of Venus Studios Art Supply and Venus Fly Trap urban art supply, a community based educational facility providing information, inspiration and opportunities for artists. After giving some thought to moving her business, Venus Studios, to the San Pablo area to be part of the new city center, which is walking distance from College of the Desert and the El Paseo shopping district, the decision was made to move into a 5,400 square foot space on Highway 111 that was originally a spa showroom, and most recently home to Southwest Community Church’s thrift store. Mumm believed that this was the perfect spot to house gallery shows, conduct classes, demonstrations & concerts. Mumm foresaw the endless possibilities for all artists. Mumm held the first meeting in September of 2016 to share the vision and gather volunteers to make it a reality. The Coachella Valley Art Scene was the primary fiscal sponsor for CREATE in helping them get launched. Fast forward to February 2017, after many meetings and donations; CREATE officially moved into their space, starting off strong with a variety of weekly classes taught by well respected local instructors as well as the Venus Studios workshop series that brought internationally recognized artists and students from as far away as the United Kingdom. Envision a setting a where everyone in the community is invited to pursue his or her creative work, with the equipment, supplies and space to be artists, makers & creators. Where people gather, collaborate, learn, grow, iterate, display their work, admire the work of others and, above all, CREATE. In one beautiful space that celebrates artistic endeavor in all its forms where diversity and individual expression thrive, are embraced and encouraged in adults and children of all cultural backgrounds. CREATE is all of this and more. CREATE offers a wide variety of ways to invigorate and engage creativity. With on-site equipment in full view, people can ignite their ideas, work on projects, and create to their heart’s content in spaces dedicated to; weaving, acrylic and watercolor painting. mask making, abstract art, mural painting, drawing, coloring, drawing, painting, printmaking, screen printing, 3D-printing, crafting, producing video, fashion, fiber arts and anything else inspired. The facility will also be a center for formal gallery exhibitions, a host for internationally recognized visiting artist workshops, an array of art classes, music, open mic and poetry readings, workshops, concerts, lectures, demonstrations, ﬁlm screenings, and both private and community events. They have also expanded their scope to providing a rehearsal space for local bands such as Desert Reggae artists Mozaiq. When it comes to the arts, whether you’re creating or appreciating, everyone plays a role. CREATE’s promise to everyone with whom they interact with is to share an enlightening, transformational, expressive, and fun experience connecting with self and others. It’s what CREATE is and what they stand for. 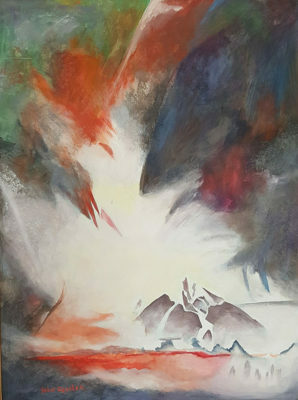 According to Mumm, CREATE believes in the idea that if given the space, supplies, and possibility to engage in multiple projects and methods under one roof with the support and encouragement of the community, creativity will thrive giving rise to creative pursuits that may not otherwise be afforded the ability to come to life and take flight. CREATE believes that by championing the creative community with a dedicated, 5,000+ square foot multi-use facility they can engage artists, art lovers & other creatives in search of support, inspiration & collaboration taking the belief & vision to the next level, reality. In addition, CREATE is helping to build a bridge in the Coachella Valley arts & education scene. It’s no secret that the when a child is involved in the arts, they perform better in every other facet of their education. CREATE’s contributions have included community outreach to local schools & organizations with the intention that, ultimately, they’ll be in a position to bring more art programming to the schools through ﬁeld trips & events. You are part of the picture. There are a wide variety of creative human interactions that make this project possible; from the volunteers & teachers, to students, admirers & artistic adventurers, all are pieces of the same inspiring community puzzle. Together we can educate, inspire and empower each other through creative arts. CREATE community outreach includes partnering with local arts organizations, nonprofits & schools to provide a space for arts education & events programming. The operating expenses for CREATE Center come principally from community support. The beautiful, spacious building is shared with its residents and must receive the public’s financial support to keep the doors open and to continue the wonderful workshops, classes and events. CREATE Center for the Arts is a 501(c) 3 non-profit with an annual operating budget of $250,000. The team at CREATE Center for the Arts are grateful for the community’s generosity. Because of the community’s support they have been able to provide creative services to hundreds of community members of all ages and abilities. With the community’s support CREATE will be able to maintain its venue and continue to grow meaningful programs that benefit individuals as well as community organizations. Fundraising efforts focus on membership, private donations, grants and events. If you are interested in contributing your time, talent or resources, at any level, CREATE is interested in welcoming you: they are seeking volunteers, board members, and advisory committee members. CREATE Center for the Arts. Saturday, September 23, 2017 5-8 p.m.
Join CREATE for a celebration of artists who were not juried into the A.C.E. at Palm Springs Art Museum with an exhibition of their work! CREATE is located on Highway 111 just west of San Pablo. They are between Angel View and Mattress Showroom, across the highway from Rubio’s, Jamba Juice, Habit Burger and Blaze Pizza.